Sleaford Mods. Don’t let the band name mislead you. 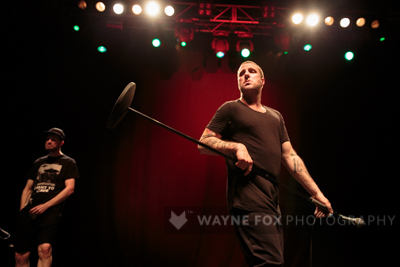 Sleaford Mods can’t be pigeon holed as a ‘mod band’ - because they're not. 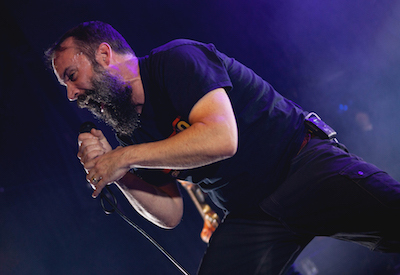 Their vocalist Jason Williamson has described their sound in the past as "electronic munt minimalist punk-hop rants for the working class.” They are certainly political, and certainly of the people. Yet in an interview with Channel 4 (2015) Williamson has alternatively said that he doesn’t want the music to be described as working class - as when you're talking about alienation or unemployment there really shouldn’t be that assumption, or stereotype. 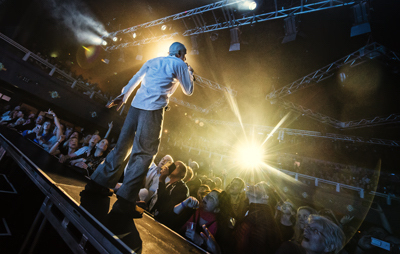 "We're gonna play you some miserable songs cause your Birmingham and way too happy" observed frontman Tim Booth as James opened with a 40 minute acoustic set, stripped back bare to entertain the masses that had come to the Birmingham Academy tonight for the sold out show. 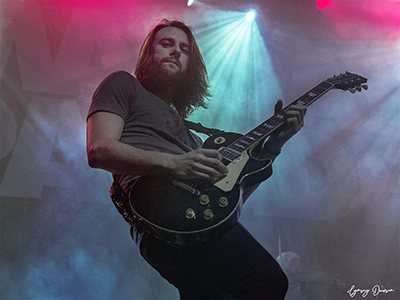 12 years after their Scottish debut, Mayday Parade returned to join forces with The Wonder Years for a co-headline tour around the UK, kicking off at the O2 Academy in Glasgow on Saturday night. 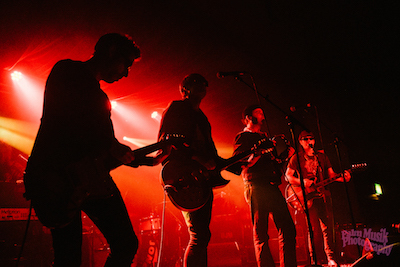 With four bands taking to the stage over four hours, ticket holders were in for a mega-bill of a treat which included support slots from rockers Movements and New York's Pronoun. It’s been a while since I’ve been completely blown away by a support band, and actually the last Clutch support that really did that was Clutch when they supported themselves as The Bakerton Group, but tonight both supports managed to do exactly that. The hordes of Burberry wearing, lager drinking, hugely partisan crowd are here for one thing and one thing only. 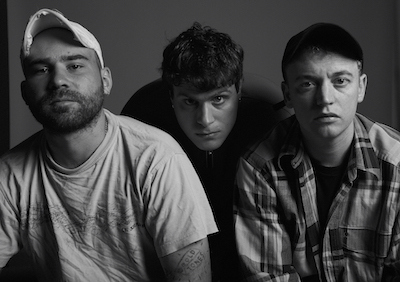 Like the Courteeners before them, DMA’s have developed a rabid following despite indifference from the mainstream music media. The fact that they are already selling out O2 Academy’s across the country despite only releasing their first album Hills End in 2016 is a testament to their popularity. 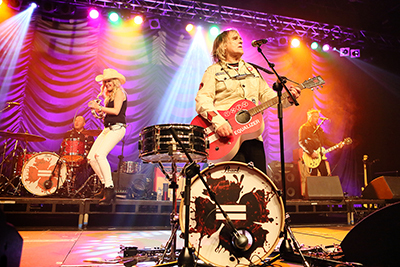 Equals is the first studio album from The Alarm for eight years, of course in-between medical diagnoses and treatments, Mike Peters has toured as a solo performer, and personally for me, those shows are his most personal. To be stood within touching distance of the man is quite something, but tonight was an equal (forgive the pun) to those shows. It was a bitterly cold Monday night in an empty Birmingham city centre. A symptom perhaps of the Black Friday shopping frenzy which it seems that we have ‘culturally appropriated’ from our friends across the pond which was happening later the same week? Not surprisingly the O2 Academy reflected this being half full for the visit of one Miss Courtney Barnett; the lady with the coolest middle name in rock. The premise behind Jessie J's R.O.S.E. tour is a really clever and well executed one. 4 sets within a gig each sectioned with a title that spells out R.O.S.E. the name of her most recent album, which was released in 4 parts across four days in May of this year. 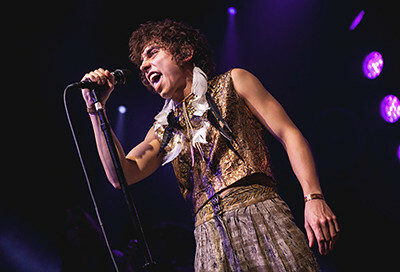 I’d heard mixed things about Greta Van Fleet from ‘they’re just a Zeppelin covers band’ to ‘absolutely incredible stuff' but I’m usually not one to just take other people’s word for it so I had to check them out for myself. I love the album Anthem of the Peaceful Army, and yes, it is very Zeppelin-esque - but who cares - I love Zeppelin. 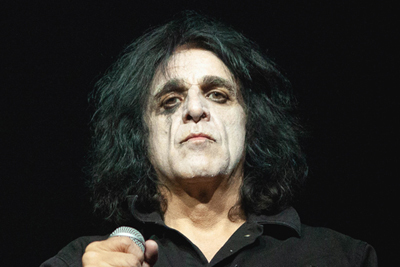 Killing Joke are a band you should know and if you don’t I can guarantee you’ve heard more than you think you have by them. Love Like Blood in particular is one of those instantly recognisable songs that you’ve probably heard a thousand times. They have been cited as an inspiration by many of the big names such as Trent Reznor, Metallica and Soundgarden. Dave Grohl was even their drummer for 2003's eponymous album. 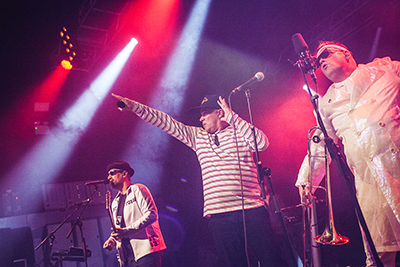 Fat Freddy's Drop assembled on stage complete with a brass section, DJ, MC and lead vocalist all the way from New Zealand. 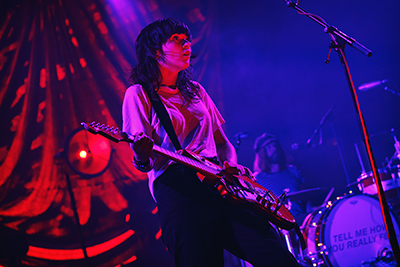 The first tracks were steeped in bluesy dark and bassy vibes, which penetrated the swaying crowd. It’s almost time for The Brian Jonestown Massacre to take the stage. How do I know? I know because an extremely enthusiastic fan spots someone backstage and cries, “Here it is! Denim on denim!” Oh my. That’s nothing on Anton Newcombe’s deerstalker. Newcombe is general emperor, vocalist, and one of the guitarists. They have many guitarists, and many, many, many guitars. They’re living proof that there’s no such thing as too many guitars or sunglasses. There are seven band members on stage in total, and the majority of them are wearing sunglasses. I can only assume that they’re going for the too-cool stoic look. (Either that or they’re hiding an infection). 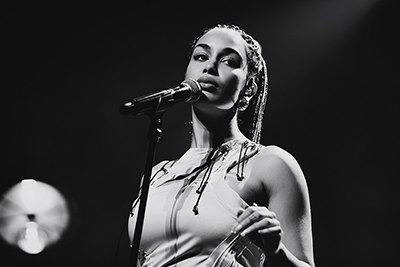 Team Gig Junkies have been lucky enough to find themselves in delectable company of a certain Miss Jorja Smith twice this year. In the summer, on the day that a cartoon blimp depicting the American President was floating around London being roundly booed and jeered by 1000s of revellers like a modern day Court Jester, she was putting on a more classy showpiece at the wonderful surrounds of Somerset House. It was the perfect anecdote to all the political craziness. 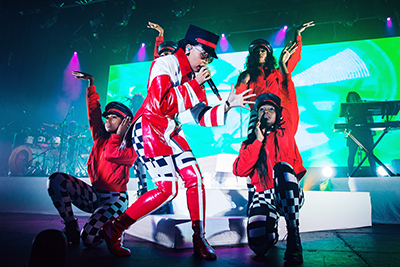 It's possible to say the crowd that were going wild, hearing hit after hit from Janelle Monáe at the Academy, however, I feel that would be a discredit to this icon. Manchester saw how much more this icon gives in terms of music bringing anthems of honesty, rebellion and love, lifting up the crowd with her immense stage presence and colourful emotive pictures.